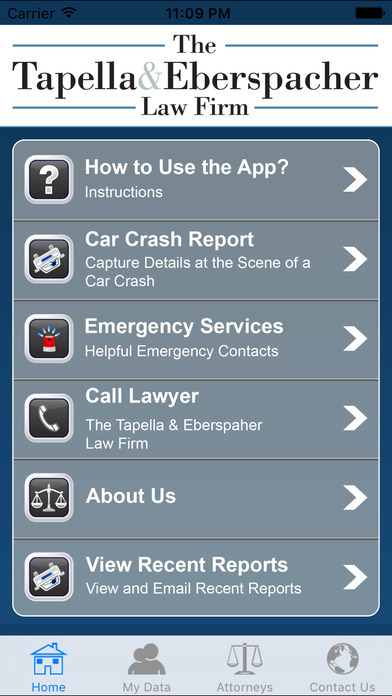 The Tapella & Eberspacher team is excited to announce the release of our new FREE app! Don't be caught off guard when you're injured or in a crash. Our app tells you exactly what information to collect and share. It helps you store photos, provides a medical/pain journal, medication diary and reminders, important phone numbers, and lots more. Search tapella & eberspacher on iTunes or the Google Play Store, or check out this link.